The ESEE Candiru Kydex neck carry sheath is hand fit and securely holds your knife for quick deployment. The sheath will fit all ESEE Candiru fixed blade knives. Made in the USA. 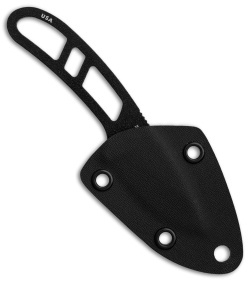 I love this sheath. I bought this knife to be as low profile as possible and this sheath does that. I can slip it in my pocket and it takes up little room. I put my finger against the sheath and pop it right off with firm pressure even while still in my pocket if I want. Worth every penny I paid and likely more! Try it. 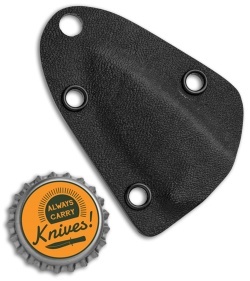 This kydex sheath works okay for the Candiru, but there are two issues. One, the blade rubs the kydex as you sheath the knife -- dulling it. 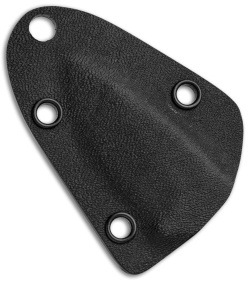 Second, the kydex holes don't quite line up with the clip plate. Each is off by about 1/8".